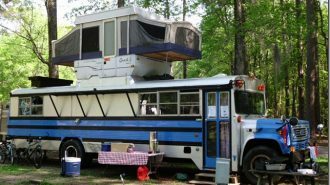 If you are new to RVing, welcome to the club. 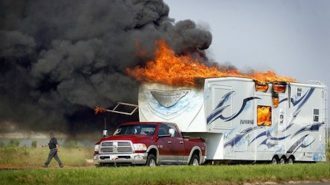 Your new rig may be shiny and new, or vintage and beautiful, but odds are there are a few things your RV still needs. I discovered this with our first travel trailer. Our 25 foot Keystone was a lot of fun, but there were some glaring improvements that definitely needed to be made. Let’s say you just walked out of a big RV show the proud owner of a new 5th wheel. You are nearly floating on air. 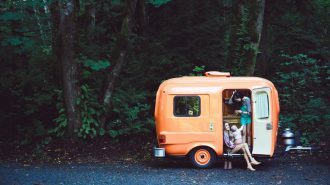 You can’t believe you finally own that new vacation house on wheels you have been dreaming of for years. Well, whether you purchased a travel trailer, 5er, Class A or Class C, there are specific things that every RVer will want to have stocked. Oh sure, they give you that welcome bucket with a few items to get you going, but beyond that, how do you know what to buy? Well, never fear. 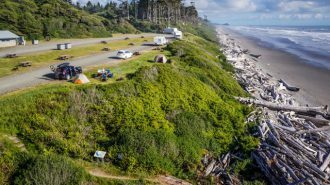 I have assembled a list of needs based on a year of full-time RVing. Let’s face it. The mattress that comes with a brand new RV is generally a nightmare. They are cheap, squishy and totally uncomfortable. Even in an expensive Class A you may be less than satisfied. If your mattress is only a few inches thick I’m betting you’ll want an update sooner than later. So, pry open your wallet and buy a quality mattress that offers a real night’s sleep. NOTE: In most cases you still want to purchase an RV mattress. These mattresses are lighter than residential beds, but are higher quality than the one you got with your rig. 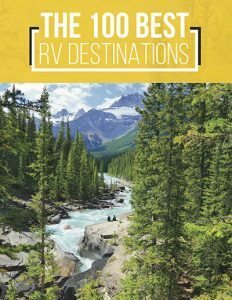 Here are the top RV mattresses. The Parklane Pillow Top Mattress is available on Amazon and comes highly rated. This super thick bed is firm with a “luxury” feeling. It will certainly feel more like a hotel than a camping excursion. If you’d like you can soften any mattress with a plush topper. 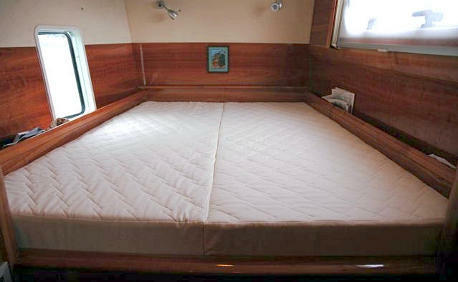 Memory Foam – Inner Space and RV Premier each offer their version of a memory foam mattress. Expect to pay between $500 and $1,000 per mattress for 8 to 10 inches of thick comfort. Memory foam can also be softened by adding a topper, but be sure to find one with deep pockets that will reach around your mattress. You can purchase RV memory foam mattresses from both Camping World and Amazon.com. 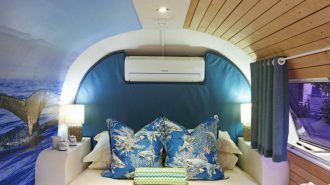 Sleep Number: Sleep number makes an RV mattress and many of the Class A and Class Cs are now providing them. If you like the idea of a high tech air mattress you may like this option. Each side of a sleep number bed can be adjusted for the individual. If you like to sleep on the left and you want your bed softer you can adjust it. If your husband sleeps on the right and prefers a rock hard surface he can adjust it. Sleep Number gives couples the ultimate in personal choice. 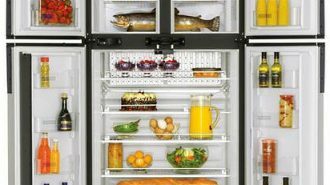 One of the first things you’ll discover in your new RV is the lack of storage space! Yup, I said it. No matter how much “storage” the salesman advertised, the truth is things will be tight. You have to pick and choose what to bring and what to leave behind. With that said, it’s important to find multi purpose tools that are easy to carry and quick to use. 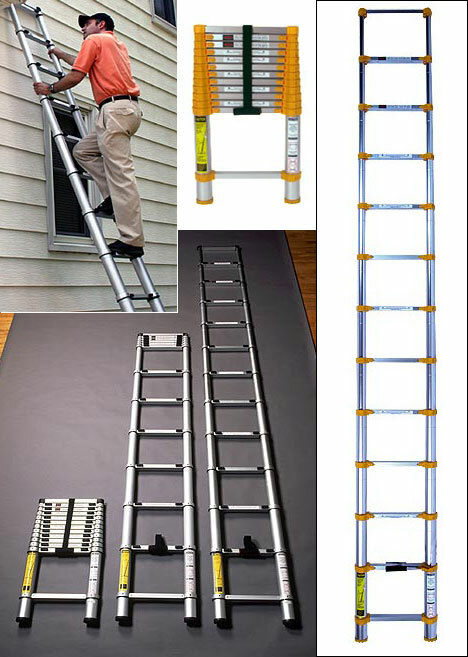 One such item is the Xtend & Climb Telescoping Ladder. Like it or not, you will need to check your roof, your awnings, your slide and a variety of hard to reach places. A collapsible ladder is the perfect thing to take with you and will fit easily in the basement storage compartment. Oh sure, you see them everywhere, but all camping chairs are not created equal. If you’re hoping to sit outside in comfort you can forget about buying just any old chair. Consider the types of activities you prefer to do outside and buy a chair that fits that purpose. Do you love to hike? 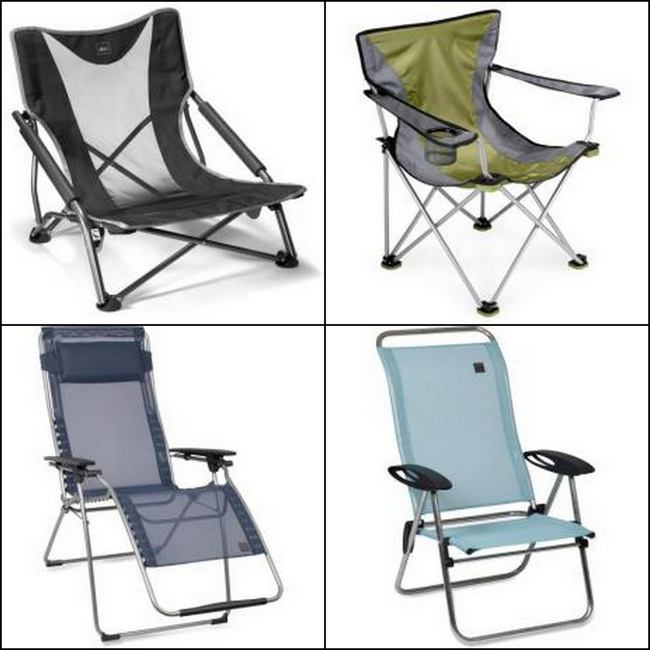 You may want to buy a camp chair that features backpack straps and is easy to carry along. Do you like to lean back and lounge? You may want an anti gravity recliner. Do you like to rock? Yes! They make foldable rocking chairs. Do you just want to lounge in COMFORT? Then you might like something like the Picnic Time Recling Camp Chair. Choose the chair that’s a good fit for your body, but light enough to carry. Comfort is a true RV upgrade! 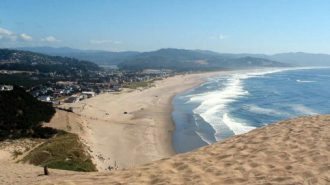 Campfire restrictions vary from place to place. If you love the old fashion fire why not travel with your own portable pit? Camco makes a portable unit called the Little Red Campfire. This ultra safe fire maker includes a nearly 12 inch fire tray that is RV campground approved. It offers an 8 foot propane hose that connects to a standard LP tank and features a sturdy red lid for easy transport. Camco is not the only company that makes portable camp fire options. 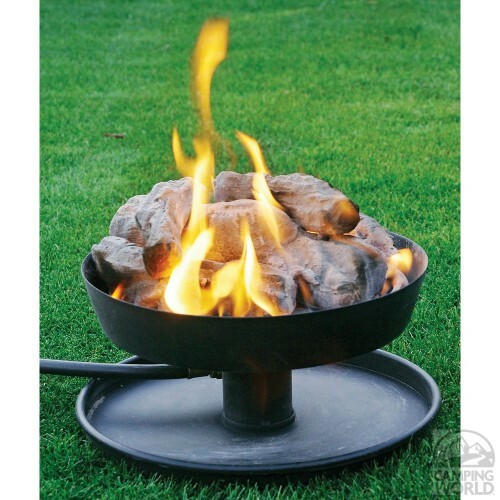 Campfire in a Can and Outland Firebowls are just a few of the other popular options. If you enjoy a sunset martini you may want to stock your RV with a travel bar. Picnic Time offers a simple 2 bottle case that includes everything you need for an evening libation. Prefer an old fashion picnic? 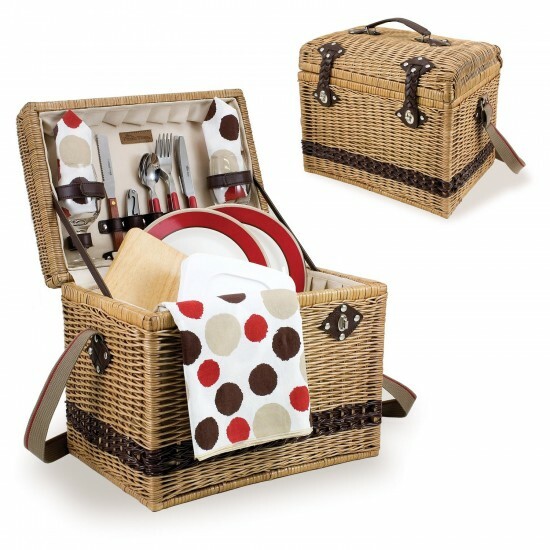 Picnic Time also offers a huge selection of baskets, backpacks, and totes ready to help you enjoy the great outdoors. 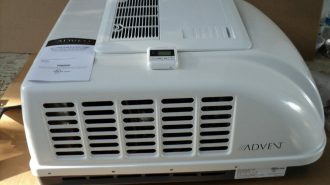 Many RVers swear by their love of a portable ice maker. 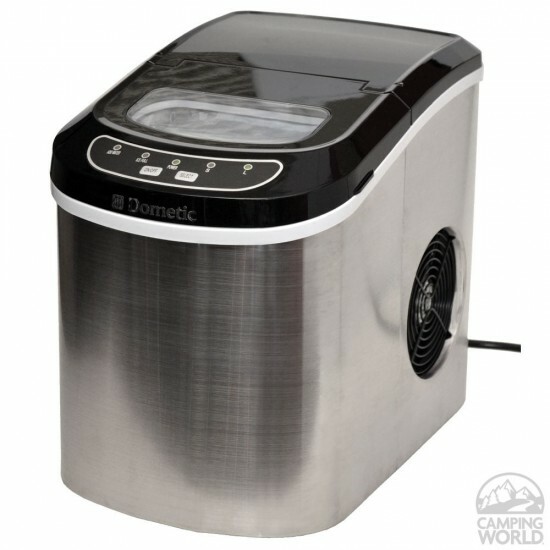 Portable ice makers sit on a counter and make between 28 and 50 lbs of ice per day (depending on the size of the unit). They come in different shapes and colors so be sure to pick one that fits your counter space. With a portable ice maker, you will never have to run out for the cold stuff again! 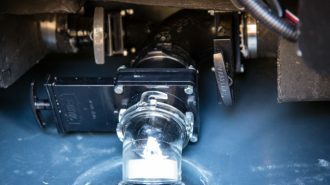 If your RV comes with an old fashion propane burner, you may want to consider a super cool, inexpensive update. An 1800 watt induction cooktop is a portable burner that will knock your socks off. 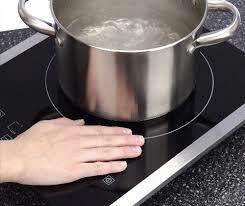 Induction burners will bring water to a boil in under a minute making your soup, stews or pasta cook extra quick. Induction burners are also very safe. If you decide to use an induction burner, consider the Magma 10 Piece Stainless Steel Induction Nesting Cookware Set. This 10 piece set completely stacks within itself. 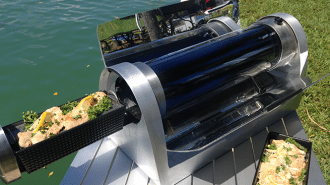 It takes very little cupboard space, is heavy duty, and works on your induction burner. What more could you ask for? Every amusement park uses misters to help to cool their guests. 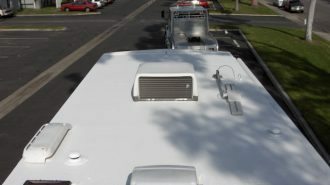 Now these super fine misting systems are available for RV use. The Soleus Air Portable Mister has no hose and works simply by adding water and plugging it in. No thinking required. 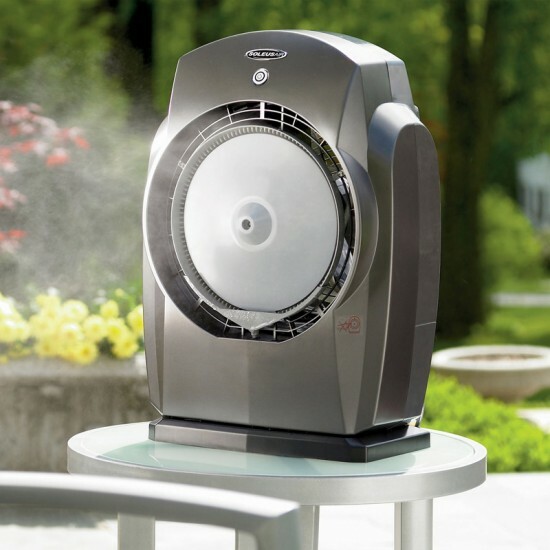 The fan blows cool air and spins while tiny drops of water shoot into the air. The result? Instant cooling inside or out! 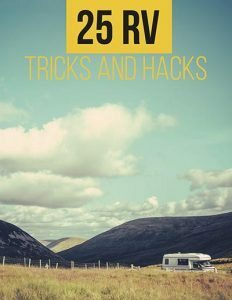 Now let’s talk about the nitty gritty items you need to carry when you RV. Unless your rig has an automatic leveling system (lucky you) you will probably want to buy a set of heavy duty leveling blocks. 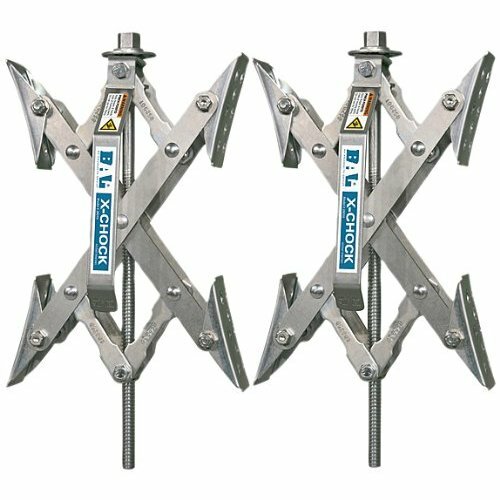 If your site is sloped or uneven you will definitely need these for under your hitch or wheels. There are a variety of companies that make leveling blocks, or you can make and bring your own. Remember to consider their long term durability before you purchase, and be sure to read lots of reviews. Does your rig rock and roll every time you step out of the bed? Do you feel a little seasick from the sway? If so, you may want to purchase wheel stabilizers. 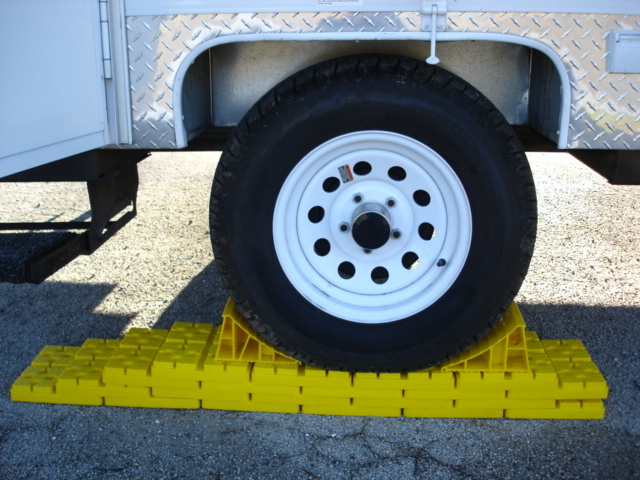 These chocks work by putting slight pressure on the tires and creating a more secure and stable RV. If you hate to wobble then X-Chock Wheel Stabilizers are worth the investment! When filling your RV water tank, any old hose won’t do! 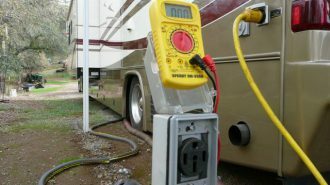 In fact, you need to purchase a water safe drinking hose that is specifically designed for RV use. I suggest you choose a completely different color than the hose you use to spray down your sewer! You may have received a small hose with your starter kit. 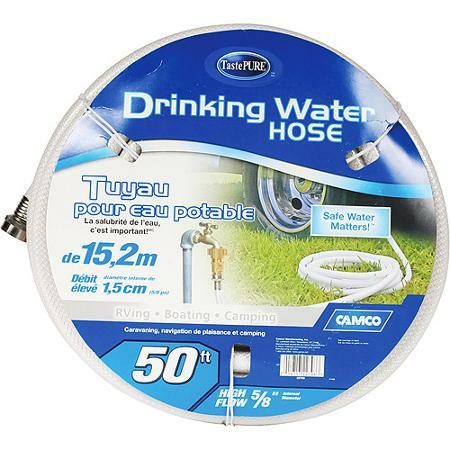 Keep it for the future, but purchase a longer hose which will be much more adaptable when camping in your rig. 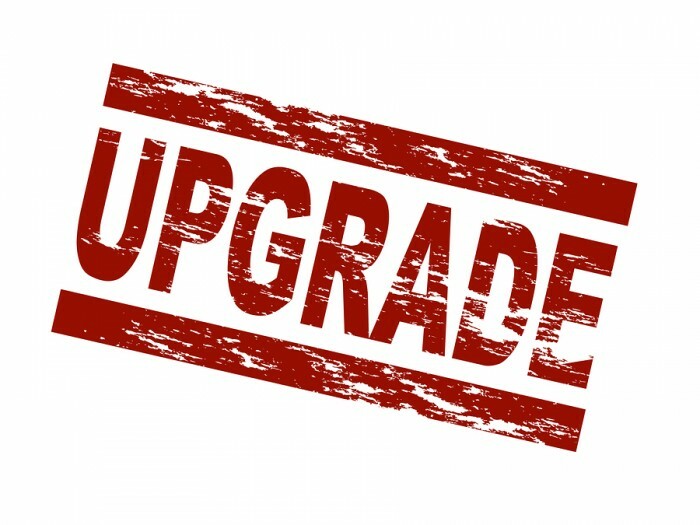 Need another RV upgrade? Add a water filter to your water hose. Now your water is filtered before even entering your rig. Yes, we have to talk about it. The sewer slinky is also known as your RV sewer hose. 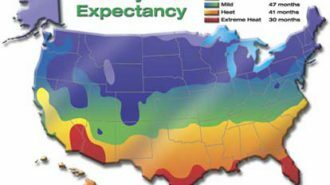 Your starter kit may have come with a short sewer hose, but in most cases it won’t be nearly long enough. 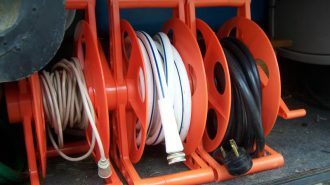 My suggestion is to buy a 10 -20 foot hose with a swivel fitting connector. You might also want to carry a Sewer Donut along with a sewer support which lifts your hose off the ground. These are requirements in some campgrounds. Sewer supports look like caterpillar legs and fit under your hose to allow a downhill flow from your rig to the waste drain. This keeps your tank waste moving and it prevents disease by keeping the hose off the ground. In an RV much of the storage is above your head. If you are short like me, you may need a bit of extra help. I suggest a folding step stool. 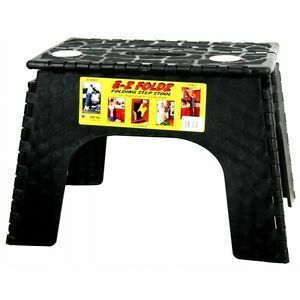 Folding step stools fit into nearly any corner without a lot of hassle, and when you need them they are there to help! You can also use them to help you step out of your rig onto the ground, or to help the kids brush their teeth at the counter. In a pinch a step stool also makes a great place to sit down and rest. 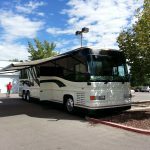 In an RV storage is at a premium, but the truth is, much of the space is difficult to use. If you are looking for a simple way to organize your space consider closet organizers. 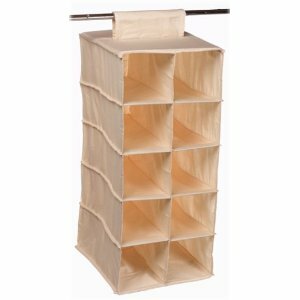 Closet organizers can be found at nearly every Target or Walmart in the laundry section. Choose ones that use velcro to mount the hanging unit to your closet bar. You can fill the spaces with shoes, clothes, towels or other hard to pack items. Commercial grade Velcro is a traveler’s best friend. 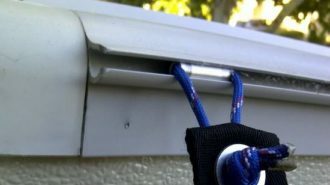 Velcro provides instant stick for pulling back curtains, hanging items, organizing your undercarriage and more. 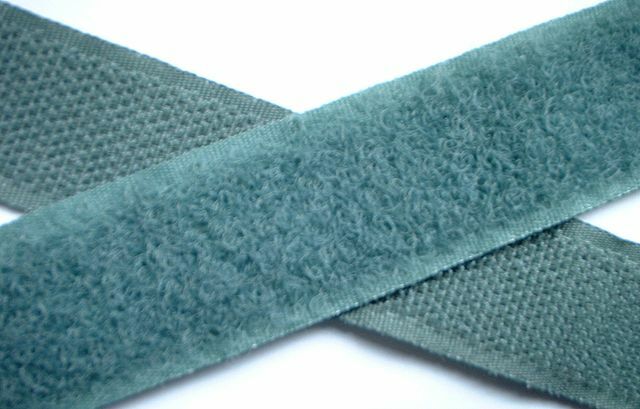 Velcro comes in various strengths and a couple of colors. Look at your hardware store for the commercial kind. 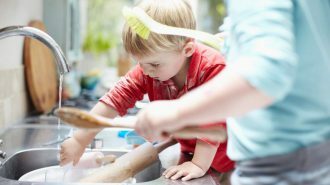 You’ll be amazed by what this sticky stuff can help you with! 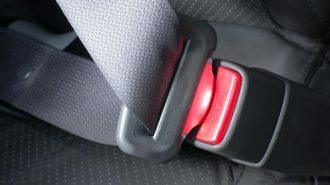 Most of these items are easily found at Amazon, Camping World or your local hardware store. Be sure to take the time to shop around because prices and brands can vary widely. Also keep in mind that while product reviews are not always accurate, they are certainly helpful. Read what other people are saying before you buy and understand the return policy just in case. In some instances I liked the idea of a product, but not the brand. If you find yourself feeling this way, send it back and try something else. What do you think? Did I miss anything? Do you have something you can’t live without? 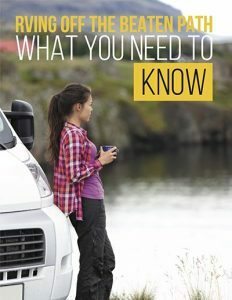 Is there a travel gadget that fellow RVers need to know about? Share your insights and a maybe even a link to where you purchased the items in the comment box below. 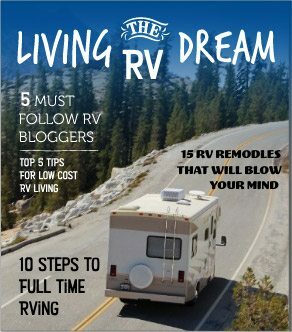 Please tweet, pin, like or email this article and help us spread the word about RVing. Thanks for reading!